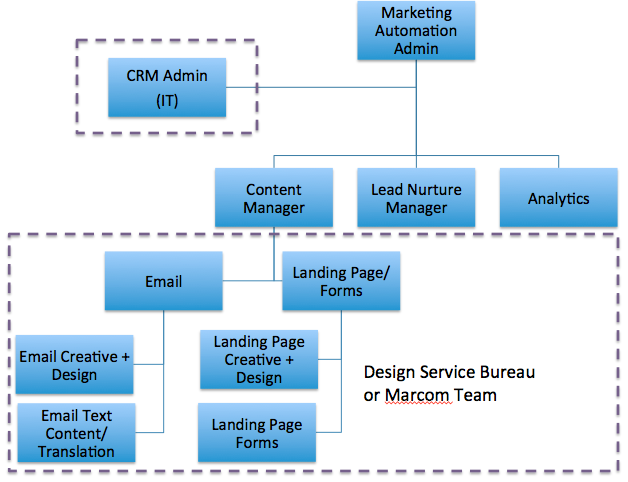 How Should I Structure My Marketing Automation Team? Football season can remind us how the right team, and team structure, can drive success. In fact, football teams are a lot like marketing automation teams – you need talented players, of course, but you also need dedicated roles, internal coordination, and sound strategy. At least some of that answer is dependent on individual variables – your company size, your resources and budget, and the goals you want to accomplish. But I can share some examples and insights that should help any new team. At some small businesses, many of these roles are combined. If you’re using marketing automation software, you can do amazing things with as few as two employees – an admin (who also does analytics) and a content/lead nurturing manager. Cloning programs and templates allows small teams to accomplish marketing automation on par with much larger companies. At Marketo, we have a much larger team. We have six marketing ops people who serve as admins and handle analytics, and 10 people in paid lead generation programs – three work as event managers, one does webinars, and one focuses on lead nurturing and engagement. These people prepare their own copy and content. We also have a four-member creative services team supporting the marketing automation team. Basically, Ms. Hutto describes a “core” marketing automation team of three full-time employees, with support from their marketing communications/web teams for content and creative. Depending on volume/size of organization, the Salesforce.com person (#1) and technical email coordinator (#2) could be the same person, although simply developing and launching email campaigns can be a full time job. A marketing automation manager is an evangelist for your adopted platform. He or she will develop best practices and training, and work side by side with your marketing managers to achieve 100% adoption, and ensure that everyone is using marketing automation to its full potential. Marketing automation admins must have a deep knowledge of marketing automation, working to both improve and demonstrate marketing’s contribution to pipeline and revenue. A strong background in lead generation programs, email marketing best practices, and inbound marketing is crucial, along with experience improving marketing and sales alignment through continuous business process improvement. A content manager is responsible for creating smart, compelling content that supports both strategic and tactical marketing and sales initiatives. This person works closely with design, lead generation, and product teams to generate marketing content and collateral that drives the highest possible impact and results. He or she will be creative, flexible, dedicated, and able to meet aggressive deadlines. Your content manager should understand both content marketing strategy and the use of analytics to measure and optimize performance. A lead nurture manager is the person who develops communications to the customer throughout the entire customer experience. He or she will work with your content manager, mapping the right content to the right place in the buying cycle. This is a critical role – when done well, nurtured leads can produce a 20% increase in sales opportunities, compared to non-nurtured leads. The person in this role should understand your buyer and user personas, and should be adept at planning workflows. 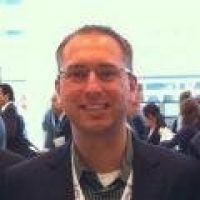 Brian Hansford at Heinz Marketing describes the analytics role this way: “The analyst knows the right information to capture, analyze and report. Also, the analyst can share insights and interpretations of marketing information that are meaningful to the executives at any level. The analyst and marketing automation manager need to work closely together to review data sets, test hypotheses and ensure the marketing automation and CRM systems are capturing meaningful information for the CMO, CFO, and CEO. How does your company structure its marketing automation team? Do you have any questions about improving your current structure, or creating one from scratch? Let us know in the comments below!